Proposals to tighten horse movement rules between Britain, Ireland and France following the horse-meat contamination scandal have been welcomed by The Horse Trust. The changes, which authorities hope to introduce at the start of next year, will reduce the largely untraceable movement of low-value horses between France and Britain. Britain’s agriculture agency, Defra, proposes that the Tri-partite Agreement (TPA), a long-standing agreement which allows horses to travel between Britain, Ireland and France without a health certificate, reverts to its original status. This would result in stricter rules on the movement of horses between the three countries. The proposed changes would help prevent spread of disease and welfare problems by protecting horses of lower market value from being shipped untraceably between countries. The new proposals would mean that only registered racehorses and FEI-approved competition horses would be allowed to travel between these countries without a formal vet inspection. The rules would apply only between France and Britain, and Ireland and France, due to Britain and Ireland’s shared health status. Movement of horses from Ireland does not represent a threat to the health of horses already resident in Britain. The tripartite agreement was set up in the 1970s by veterinary officers in Ireland, France and Britain to allow thoroughbreds to travel between countries without a formal veterinary inspection. 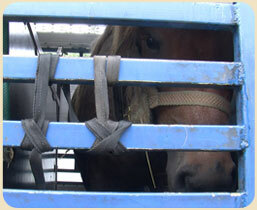 In 2005, the agreement was expanded to allow free movement of all horses except those destined for slaughter. Since then, vets have advised that the disease risk to Britain’s equine population has increased. Defra published a risk assessment into the possibility that equine disease could enter Britain from the continent through movements under the agreeement. It concluded that there was currently a low but unacceptable risk to equine health in Britain. Over the past year, Defra has been working closely with representatives of the equine sector and also with devolved Scottish and Welsh Governments and the Department of Agriculture and Rural Development for Northern Ireland to consider whether the TPA should be strengthened. The Equine Sector Council for the UK assisted Defra by developing a proposal for possible changes to the agreement. This proposal has formed the basis of discussions with Ireland and France and seeks to limit the agreement to horses with the highest health status. All horse movements that would fall outside the scope of a new agreement would need to comply with normal European Union trade rules and be accompanied by an EU health certificate. The Equine Sector Council is an informal collection of interested parties from the equine community. It includes representatives from across the sector from organisations representing areas as diverse as racing, equestrian sports, vets, enforcement and charities. The Equine Sector Council Steering Group is a small selection of representatives from across the sector and is chaired by The Horse Trust’s chief executive, Jeanette Allen. The group works closely with Defra on legislation and policy relating to equine health or welfare. It facilitated co-ordination and delivery of responses to the proposed changes to the agreement across the sector. The proposals are being considered by the Britain, France and Ireland’s chief veterinary officers and, if accepted, Defra expects that a revised agreement would operate from January 2014.